The Xiaomi Redmi Note 3 is the successor of the very capable first generation Redmi Note. Xiaomi launched the Redmi Note first in November 2014, and the 5.5-inch phablet at just Rs. 9,999 became a game changer for the company. Right after 16 months of the Redmi Note, came its successor the new Xiaomi Redmi Note 3 and with this smartphone as well the Chinese mobile maker wishes to recreate the magic. This time it is even better, but even now, the price remains the same, which helps it in this highly competitive mobile market of India. The new Xiaomi Redmi Note 3 comes in two versions – one with 2 GB of RAM along with 16 GB of inbuilt storage that is priced at Rs. 9,999, and the other with 3 GB of RAM along with 32 GB of memory that is tagged at Rs. 11,999. The current market is all for large smartphones or phablets that comes with over 5 inch of display, and Xiaomi now has many more market rivals including Lenovo, LeEco, Coolpad and Huawei all of which compete in the budget to lower mid-ranged mobile market. While there are a lot of good mobile handsets available at the Redmi Note 3’s price range, the Redmi Note 3 will have the advantage of its already established name and of course its looks and features. First things first – looks really matters. While the high-end smartphones are good looking by default, at the budget price people don’t really expect a looker, but if a highly affordable smartphone also comes with premium looks then nothing can be better. The Xiaomi Redmi Note 3’s primary draw point is its premium design and full metal body. The handset flaunts a sandblasted metal texture in three premium shades of Gold, Silver, and Grey. The Xiaomi Redmi Note 3 has now become sleeker and lighter, and its premium unibody design does not allow a removable back cover. The device gets a hybrid SIM and microSD card slot, so you can use either 2 SIM cards or one SIM card and one microSD card. Although the overall design of the Redmi Note 3 is now rather common, it really looks and feels premium and that is its advantage. The Xiaomi Redmi Note 3 features a 5.5-inch Full High Definition IPS wide-angle display, which is good and vibrant, although it does not get Corning Gorilla Glass or any such protection. The phone’s Sunlight Display feature also adjusts the screen according to the light to offer good outdoor visibility as well. The Xiaomi Redmi Note 3 is the first smartphone in the Indian market to get powered by the Qualcomm Snapdragon 650 chipset with the support of 2GB of RAM. The device offers overall smooth performance with no noticeable lags. The smartphone is good for the multitaskers and well as heavy game players. The handset also does not have much of heating problem, although it does get warm when playing gamed and browsing on Wi-Fi, but performance remains unaffected. The Redmi Note 3 comes with Adreno 510 GPU to take care of the graphics requirement well. The smartphone runs on the Android version 5.1.1 with the MIUI 7 on top. The MIUI 7’s primary advantage is that it offers the user gets a complete package. However, unlike the previous MIUI, the MIUI 7 is not bug free. The UI also takes considerable time to load. Nevertheless, the MIUI 7 is great on the whole as the MIUI is one of the best UIs in terms of end user experience. The Redmi Note 3 is superb multimedia experience with great visuals and really pleasant audio quality. The Xiaomi Redmi Note 3 boasts of a good quality primary 16 MP rear camera with PDAF f/2.0 5 element lens along with dual tone LED Flash. At the front, the device gets secondary 5MP f/2.0 lens selfie camera. The device also comes with a fingerprint sensor, which can be used to click pictures with both the snappers. The selfie camera clicks great selfies and is meant to please people who are dependent on edited selfied and software beautification features, as the Redmi Note 3 is loaded with lots of picture enhancing features. On the other hand, the primary camera offers good quality pictures under normal lighting conditions, delivering fast focus and crisp images. However, in low light conditions, the picture quality falls a bit and appears noisy, while the auto focus also becomes slow. The Xiaomi Redmi Note 3 gets powered by a huge 4,050 mAh non-removable battery. This offers great backup of well over a day’s time with moderate usage and also a day for the heavy users. Once you fully charge the battery, which takes around 4 hours of time, you can well forget about recharging it for at least a day. So, this phone is great for the heavy gamers and internet users. The smartphone also comes with an IR blaster and can be used as a TV remote at home. 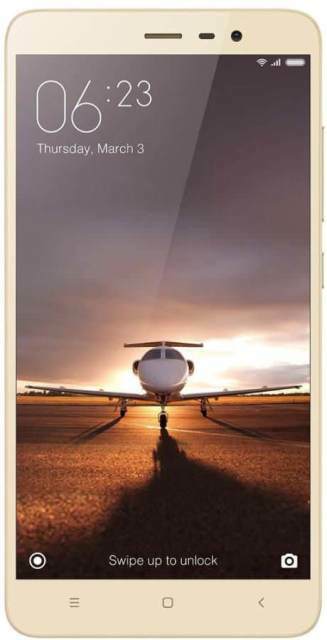 In few words, the Xiaomi Redmi Note 3 is an excellent smartphone under the slab of 12k. Yes, it is not a flawless device and there is room for improvement. However, at its price point the Redmi Note 3 is definitely a highly impressive handset. It is one of the best-recommended budget phones in the Indian market at present. While the 2 GB version is not highly recommended for the lack of adequate available RAM, the 3 GB RAM version, it comes with, is certainly a great phone to bring home. The Xiaomi Redmi Note 3 offers a complete package of great looks, good performance, good user experience, decent cameras, and great backup. It is also a superb choice for all those who love smartphones with large displays, but don’t want to shell out a bomb.